UC Berkeley students on food stamps: Are college students really suffering from "food insecurity"? According to the media, more and more college students are going hungry. Many universities are organizing food pantries to feed students suffering from "food insecurity." The San Francisco Chronicle reported recently that more than 500 UC Berkeley students have applied for food stamps so far this year--up from only 111 during all of 2016. Thousands of UC Berkeley students rely on the university's food pantry; 1,549 students obtained donated food there during the month of September alone. What's going on? Today, the typical college graduate is burdened with $37,000 in student loans. How can students borrow so much money to finance their studies and yet go hungry? Here are my reflections on food insecurity at American colleges. First, college students have struggled to feed themselves for more than a hundred years. Dorothy Day, for example, the founder of the Catholic social justice movement, wrote of going hungry during her college days at the University of Illinois back in 1914-1916. "At night," she wrote, "I could study in the university library. When I went back to my room I had to go to bed immediately, and when I was cold and hungry it was hard to get up in the morning." I don't think Dorothy Day's college experience was atypical for her time. Even when I was in college more than 40 years ago, students heated Campbell's soup in their dorm-room popcorn poppers or made grilled cheese sandwiches by wrapping them in tinfoil and heating them with an electric iron. And ramen noodles were a staple of many college students' diets. As a college freshman, I recall eating at Griff's Drive-In with my dormmates on Sunday evenings, when Griff's sold hamburgers for ten cents each. We would pool our resources to buy 30 puny burgers (each garnished with exactly one pickle chip), and we would all eat about four. Today, however, we have a new term--food insecurity--to describe students who live on limited budgets. Being food insecure doesn't mean students are starving; it just means they have too little to eat from time to time and are often forced to purchase substandard food (like Griff's hamburgers). For example, the Chronicle featured one food insecure student who eats a typical lunch of "oatmeal, raspberries, chia seeds, flaxseeds, chocolate chips and coconut shavings, plus a spinach salad." As Joseph Conrad might have put it, "The horror! The horror!" And of course, college leaders would like the media to focus on their students' so-called "food insecurity" rather than the long-term suffering their graduates will experience when they try to pay off their student loans. Maybe that's why Janet Napolitano, president of UC, pledged $302,000 to expand food pantries at UC campuses and help students sign up for food stamps. Janet herself is not missing any meals. Her UC compensation was $3.7 million in 2014-2015, which makes UC's $302,000 contribution for food assistance seem puny in comparison. And the UC chancellors are doing OK as well. According to a 2016 newspaper report, nine UC chancellors received a total of $1.5 million in outside income for serving on various corporate boards during 2012-2014--that's in addition to their munificent salaries. UC professors aren't worried about their next meal either. They draw handsome salaries, have top-notch health insurance, and expect to retire with generous pensions. The reality is this. College students are not suffering unduly from food insecurity, even though some may be forced to eat spinach salads for lunch. 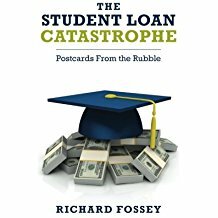 Their suffering is in the future, when they graduate with massive student loan debt they can't pay back and can't discharge in bankruptcy. 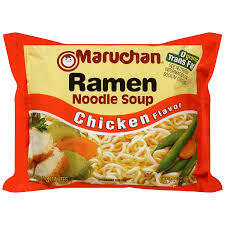 In fact, many college graduates will be eating ramen noodles for a long, long time. Patrick McGreevy. University of California administration is paying excessive salaries and mishandling funds, state audit says. Los Angeles Times, April 25, 2017.